I have some fans in Hungary! This fan club cheers for all the "underdogs", including athletes from countries like the US, where biathlon is not a very popular sport (yet!). 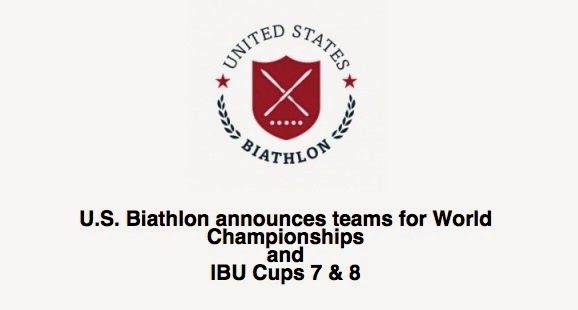 Post by Biathlon Fans Hungary. I am trying to focus on the few good things that I did this weekend, even if they were very few. 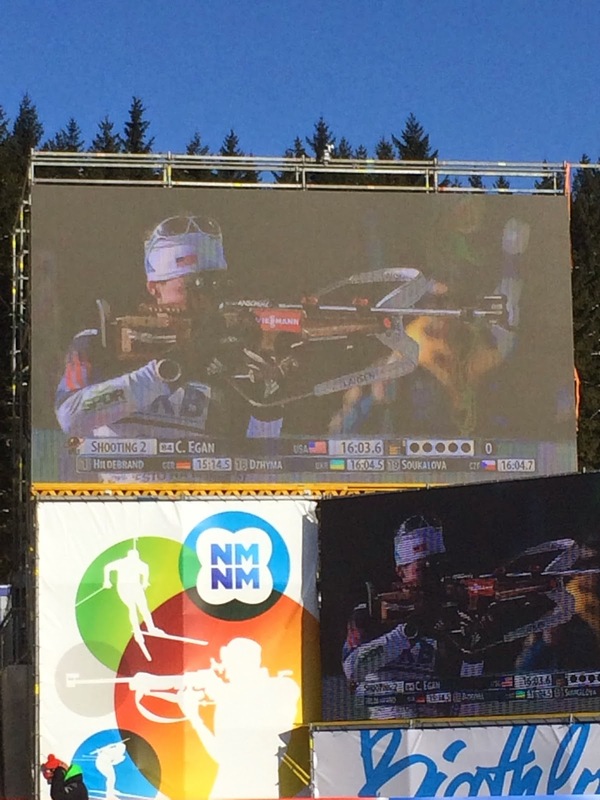 My prone shooting is consistently solid and my ski times are getting faster as I race more. 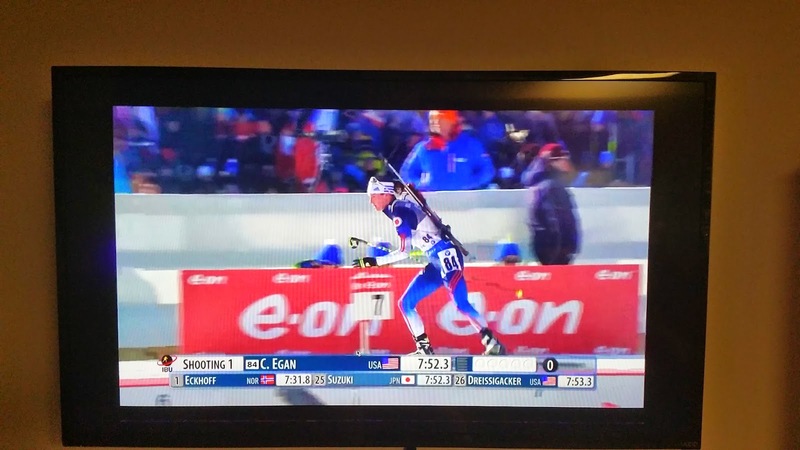 The third component of biathlon, my standing shooting, needs major improvement, but I did hit four out of five targets in one stage of the individual race, so I know the skills are there. We have a few weeks now to practice before World Championships begin in Kantiolahti, Finland on March 4th. 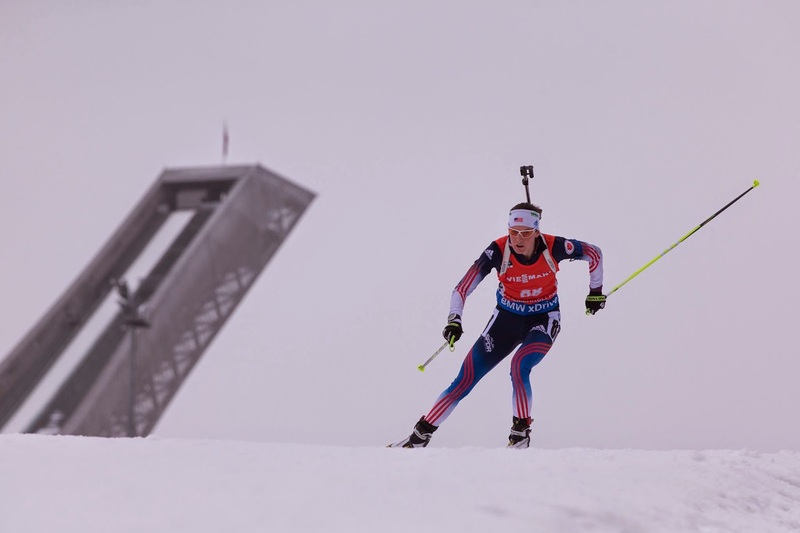 I am grateful for the example of my more-experienced teammates and the guidance of US Biathlon's world-class staff, for helping me keep my head above water. Onto World Championships! Right now I am in Oslo for World Cup 8. I am working my way up from the very bottom, which gives me an exceptional opportunity to improve. So far this week I did a 15k individual format race which had 4 shooting stages, and a 7.5k sprint format race with two shooting stages. My friend Ley, who lives in Oslo, came to cheer! My parents are here too! Here they are with my teammate Susan. 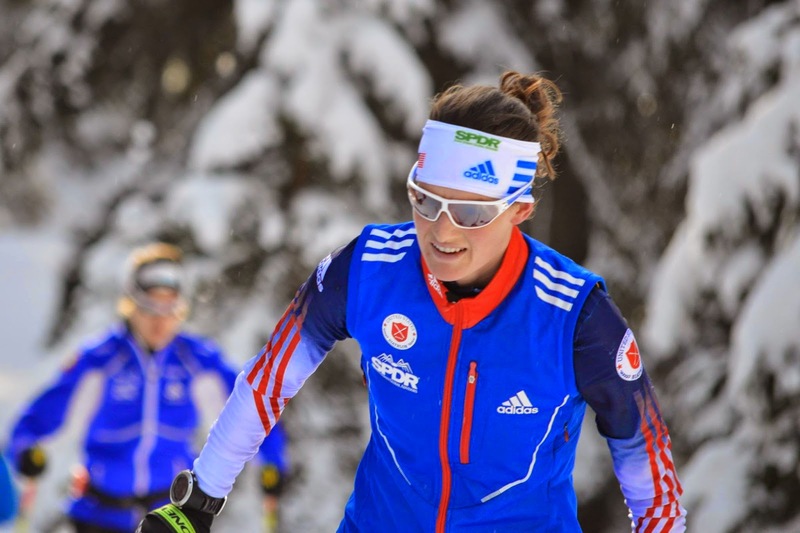 On Saturday, I competed in the 7.5k sprint at World Cup 7 in Nove Mesto, Czech Republic. It was so loud in the stadium that I had to shout to make myself heard over the noise makers and screaming! It sounded like a World Cup soccer stadium. It was a great day for racing. I felt good as I warmed up, and it was a beautiful, sunny day with tons of fans lining the course. I was the 84th starter out of a field of 87, so other women were already finishing before I started. As I shook out my legs in the starting pen, I got to cheer on my teammates as the came into the shooting range. A TV camera stared me in the face as I toed the line, which was a first! I had a fast first lap and despite huge hills out on the course, I came into the range for my prone shooting stage in control and hit all five targets! This was awesome, but not surprising for me. I have been hitting all my prone targets in practice lately and would have been disappointed if I did anything less than that on race day. My brother Guy stayed up until 4am to watch my race! I left the range in about 30th place, but lost a lot of time to the faster skiers on my second lap and came into the range in the 40's. (All this info is on the IBU website's Datacenter, for statistic nerds out there.) And then disaster struck and I only hit one standing target! I have made a huge improvement in my standing shooting lately and have seen the results in practice, but the extra physical and mental stress of the race made my rifle move more than normal and I didn't do a good job controlling it. 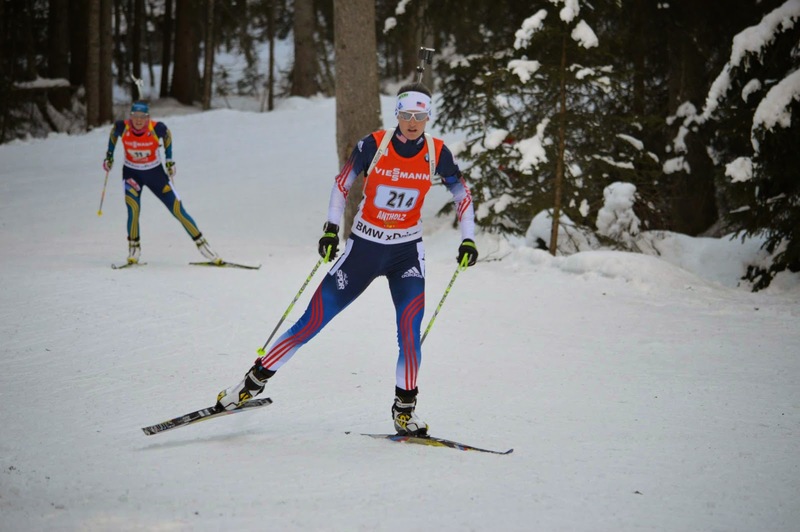 I know I can do better, and I will have three chances to do so next weekend at World Cup 8 in Oslo, Norway! That's me on the stadium jumbo screen!